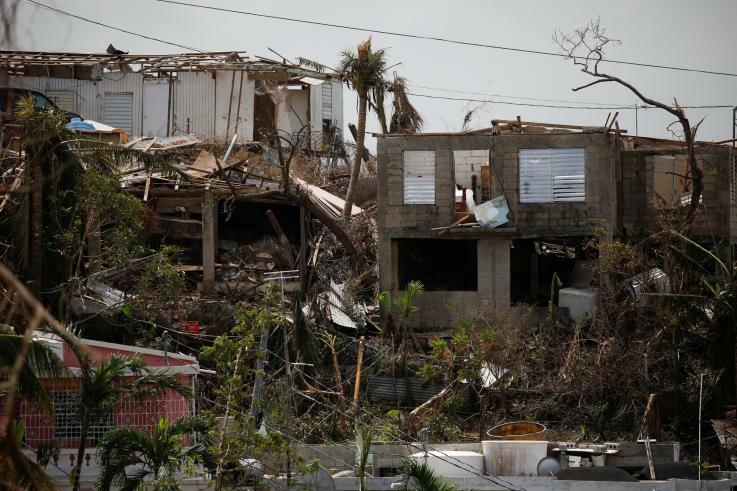 A week after Hurricane Maria forged a warpath through Puerto Rico, the extent of the devastation is still being surveyed. 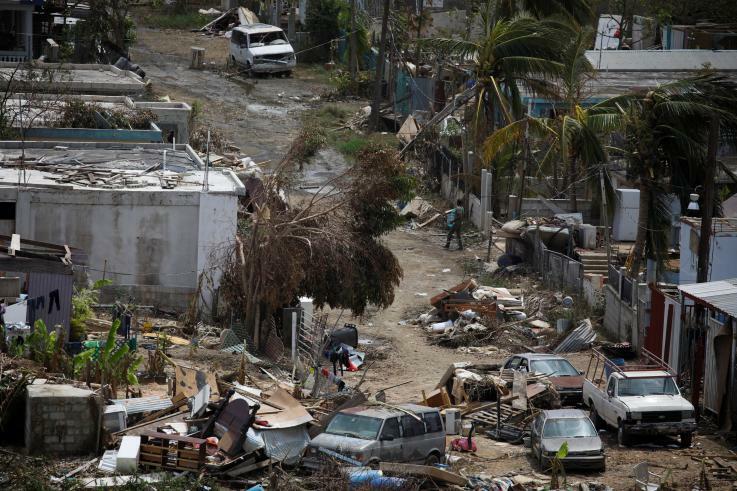 New photos from the island have shown the extent of the catastrophic damage, with homes leveled, trees littering the landscape and debris covering virtually every surface. 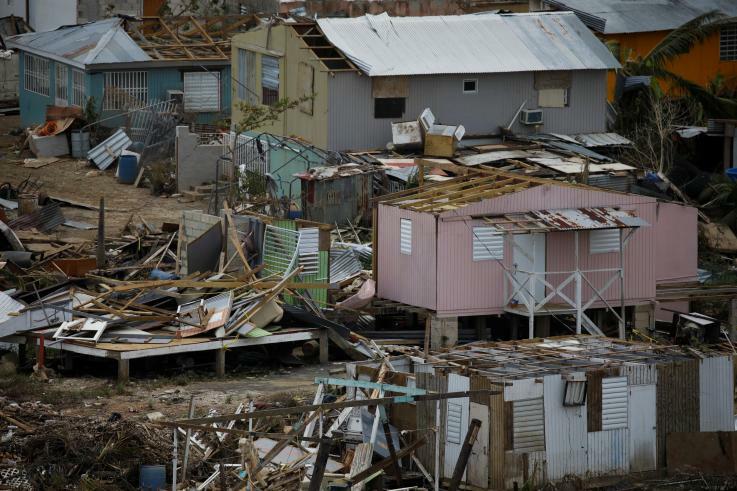 Roughly 97 percent of the island's 3.4 million people are will without power, while half still don't have access to running water. Pictures captured residents hauling containers to be filled with water from trucks and attempting to clean themselves with the bottled water. Some gathered water from nearby streams to sustain them until they could access aid trucks. 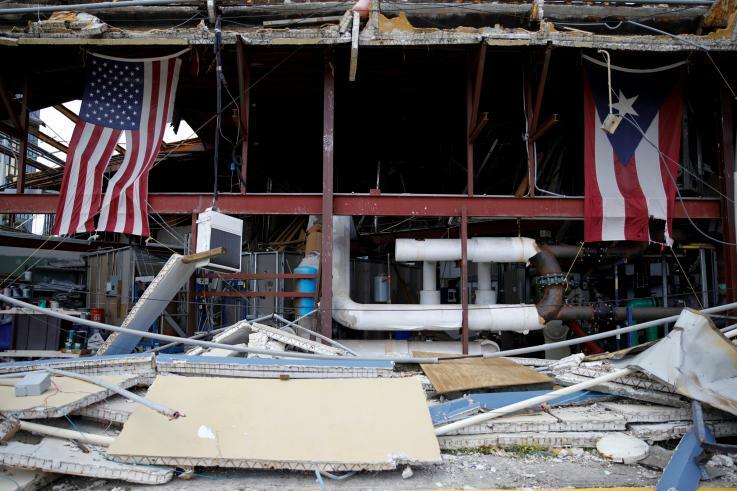 Only 21 of the island’s 69 hospitals had any power or fuel Wednesday, CBS News reported. 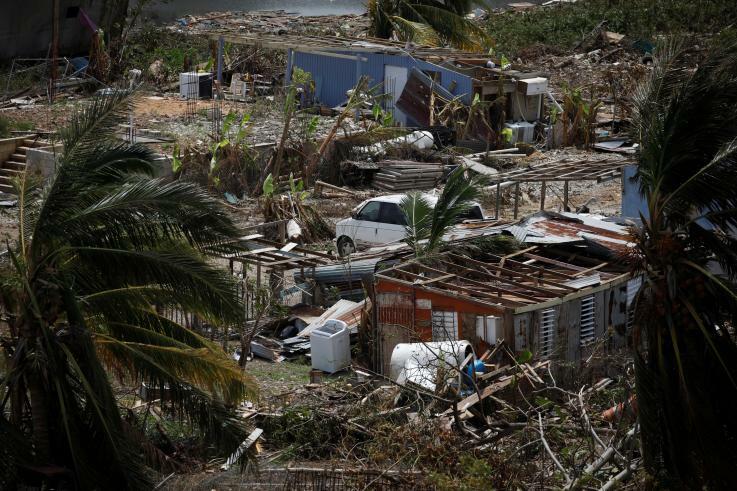 Much of the island could be without power for up to three months, experts estimated. 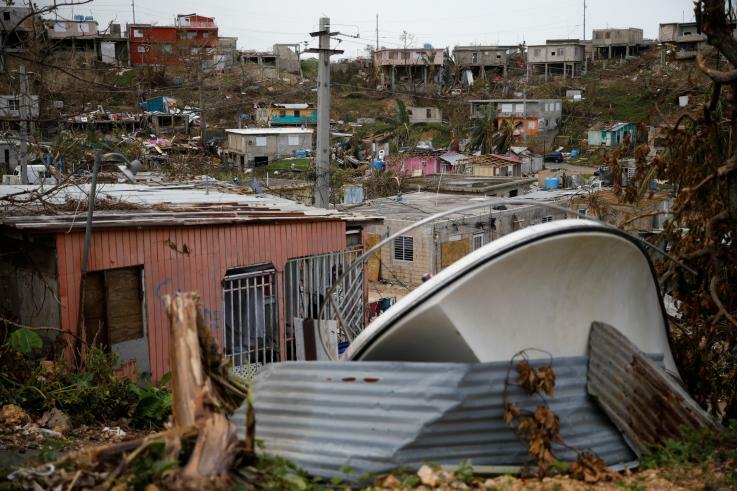 The Federal Emergency Management Agency (FEMA) said 10,000 people had been deployed to Puerto Rico and the Virgin Islands in order to help recovery and search and rescue missions. 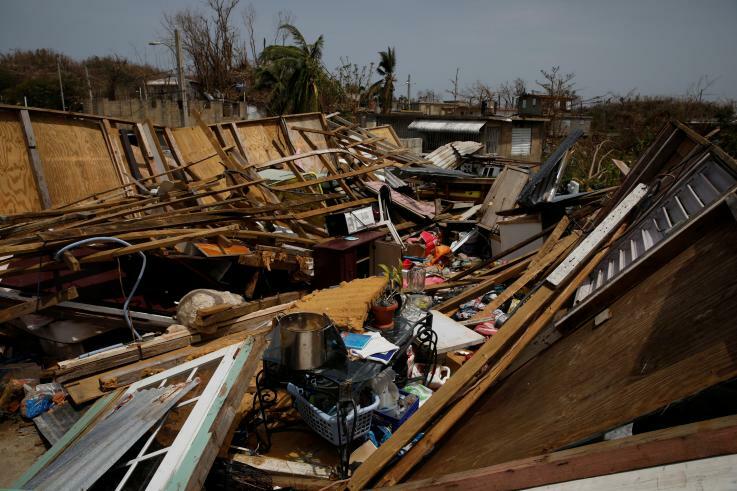 The organization also announced Tuesday that more federal aid was being sent to Puerto Rico. Rossello warned, however, of the possibility of a mass exodus from the island if the situation escalated. “We need something tangible, a bill that actually answers to our need right now,” said Rossello. “Otherwise, there will be a massive exodus to the [mainland] United States." 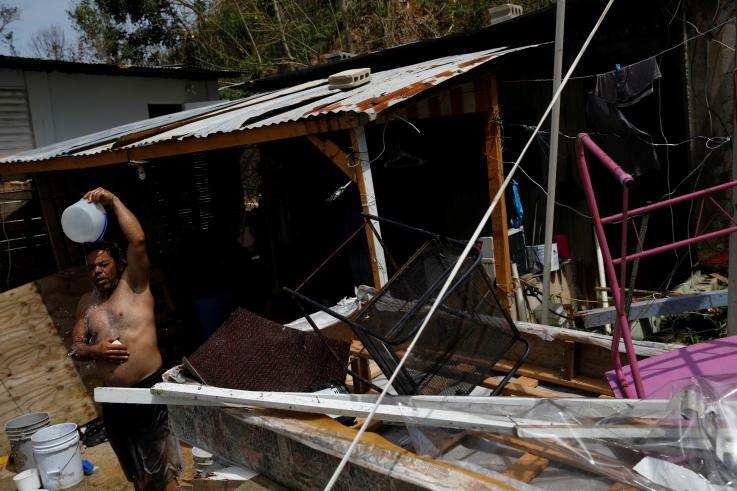 At least 16 people were killed by the hurricane in Puerto Rico, according to CNN. 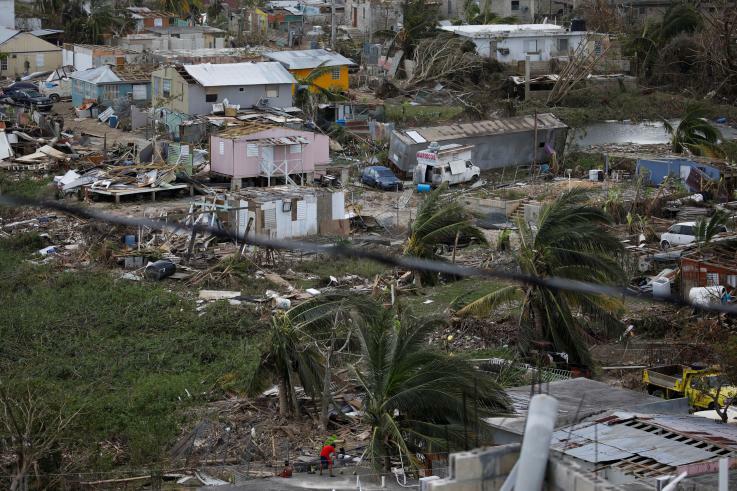 The storm could cost the island, which is already in the midst of an 11-year recession, up to $72 billion. 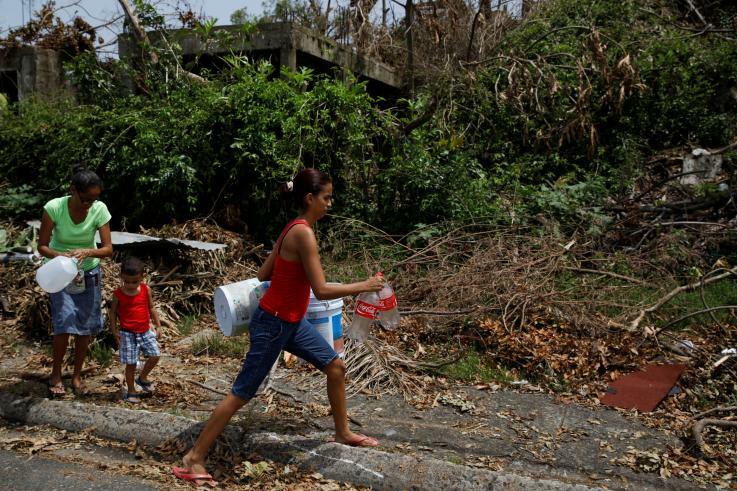 People carry containers to be filled with water from a truck in Canovanas, Puerto Rico, Sep. 26, 2017.